A Blue Glass Pebble Pool Interior - the best choice for you! Blue Glass Pebble Company offers a top-end, luxury pool finish product at a mid-range price. Ask your pool builder to quote on Blue Glass Pebble Company. Don’t be satisfied with inferior imitation pool finishes such as normal pebble with crushed or painted glass added to it. Ask for us by name. There are now multiple examples of glass pool interiors on the market. Only Blue Glass Pebble Company can guarantee a colour-fast, smooth, easy to use, durable, hardy product which will last the life of your pool and look as good ten years from now as it does tomorrow; without enslaving you to a life of pool chemistry and maintenance. We create our industry leading pool interiors by sourcing only the best materials from around the world as well as locally sourced products. 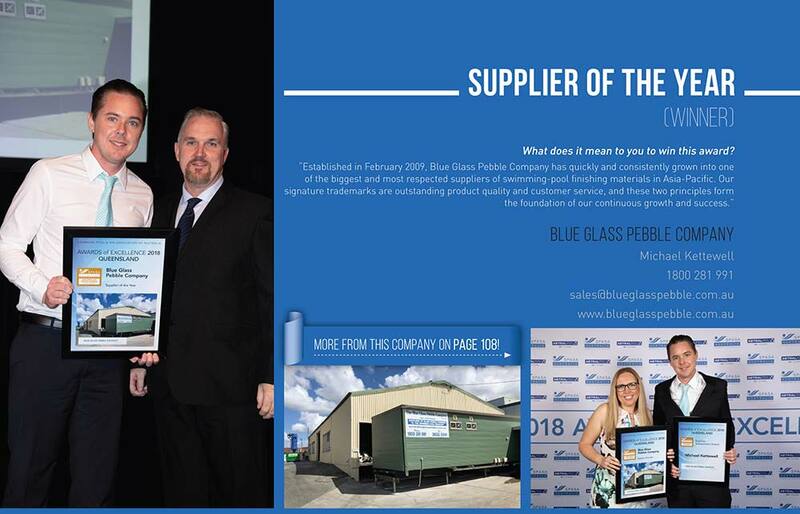 If a dazzling, extravagant, sparkling deep blue pool interior which will be durable and easy to look after is what you desire, then Blue Glass Pebble Company has the interiors for you. 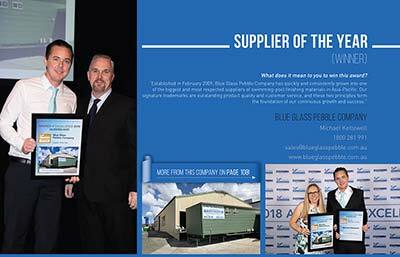 Find out why families and resorts all over Australia are raving about Blue Glass Pebble Company. Get in contact with us today to begin experiencing our industry-renowned customer service and commitment to excellence. We are extremely passionate about what we do and will always go the extra mile to ensure a great outcome. Our products are as reliable as they are dazzlingly extravagant. We do not deal in risks and chances. That is why we don't send out raw material and a recipe and hope someone gets it right on the day. Our premium premixed glass pool finishes are completely, 100%, mixed into perfect batches before they leave our door and just need water added to them onsite. Doing this keeps the quality control in house and allows us to back up our great products with the vigour that we do. We love what we do and are constantly left speechless when we see the vibrant colours our pool finishes create in customers' backyards. Our mission is to have you feel about it the same way about them as we do. How can I get your pool finish product? Who uses it? Anyone can use our product. Any concrete pool builder you choose to build your swimming pool is more than qualified to use Blue Glass Pebble Company’s interiors. All you need to do is tell your pool builder you want to use Blue Glass Pebble Company’s stunning glass pebble interior for your pool. You are also more than welcome to call or email us to ask for a recommendation for a pool builder in your area already using Blue Glass Pebble Company. How much extra than normal pebble will it cost me? This is a question for your builder. We have a set trade price we sell our product to builders. What they add on to charge you is their business. While our product is a little more expensive than standard pebblecrete, the results are simply incomparable. Is there a warranty for your product? You bet! We offer a 10 year warranty for all our pool interiors. I’ve been in Pebbled Pools which cut my children’s feet. Will this happen with your product? Being made from 50% ultra smooth glass pebbles, our product greatly reduces the natural abrasiveness of traditional pebblecrete; and indeed we are yet to receive a single complaint about the texture of our pool surfaces.